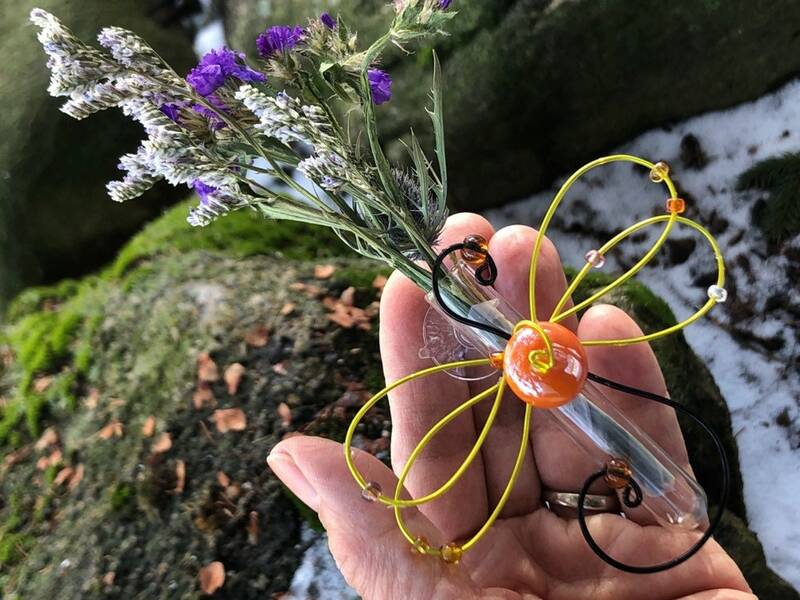 This unique dragonfly Glass Suction Bud Vase makes the perfect gardener gift for the person who is difficult to buy for or as a Wedding Favor for a Nature or dragonfly themed wedding. Made from a small glass test tube with a suction cup permanently attached. 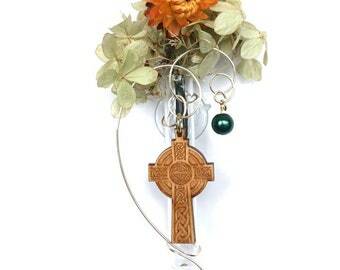 A delicate accent to use as attention getting window decor. Your choice of colors. 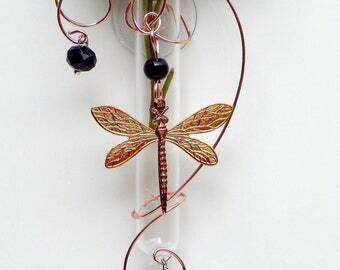 Wire design and beads may vary slightly. Each vase is handcrafted and one of a kind. Who doesn’t love to receive flowers?! To keep flower clippings fresh, you will want to change the water in the vase daily, re-clip the end of the flower when needed. Visit my social media pages for updates, sales and in person events.